Original era manufacture. 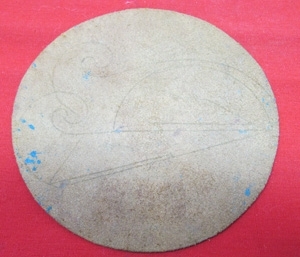 A painted leather insignia measuring 5 inches in width, with stitch marks around its edges from being sewn to a flight jacket. 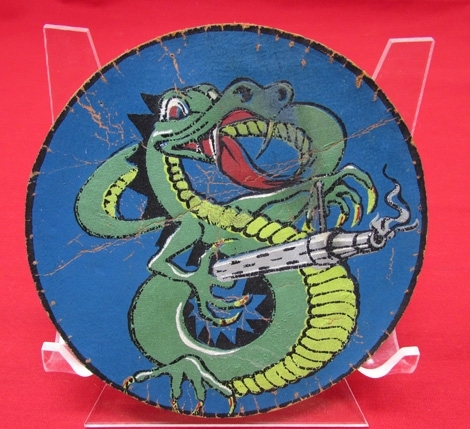 The surface of the patch display wear and use, however the image and colors remain clear and vibrant.Raised in 1942, and originally equipped with P-40 Warhawks; the 318th first saw service in North Africa before being assigned to bases in Italy. They were re-equipped with P-47 Thunderbolts in 1943, and P-51 Mustangs in 1944.